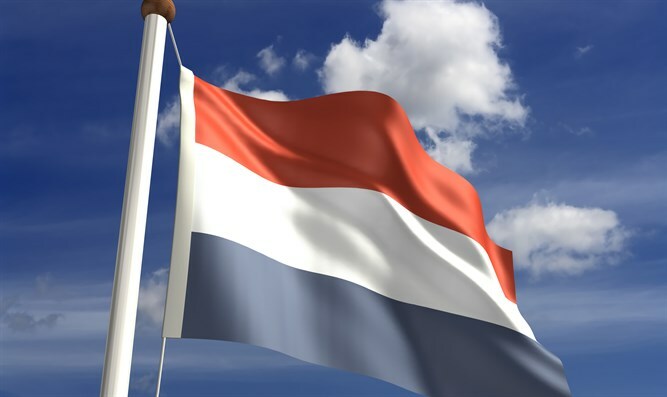 Expert: The consequences for Dutch Jews after the elections may be more tension, with the anti-Israel DENK and D66 parties in parliament and the VNI out. Turkish minister for Family Affairs, Fatma Betül Sayan Kaya, was stopped before she could reach the Turkish consulate in Rotterdam. She was then expelled from the Netherlands. The two Turkish ministers had intended to convince Dutch Turks to vote in the April 16 Turkish referendum to expand the powers of President Erdogan. One wonders whether Rutte would have been that firm had there not been parliamentary elections. All other important parties supported the cabinet’s decision. The one exception was the small Turkish-Moroccan DENK, a party which is usually considered pro-Erdogan. Rutte’s tough attitude toward the Turkish ministers paid off. Even though it lost eight seats, the VVD remained the largest party with 33 seats of the 150 in Parliament, A former VVD leader Hans Wiegel said that Mr. Erdogan had helped his party a bit. Geert Wilders’ Freedom party came in second with 20 seats, a gain of five. Among its elected parliamentarians is an active member of the Ashkenazi Jewish community, Gidi Markuszower. The VVD’s partner in the current coalition, the PvdA Labour party was decimated, losing 29 of its 38 seats. This was the greatest loss of seats of any party in an election since World War II. From an Israeli viewpoint, this is the main positive result of the election. The PvdA are anti-Israeli inciters. Its leading hate-monger Michel Servaes – who regularly mentions that he has a Jewish mother – will not be re-entering parliament. Anti-Israeli Foreign Minister Bert Koenders also will not return. However, it is likely that another anti-Israel party, the left-liberals of D66 will be members of the new government. The leader of their election campaign, former Dutch diplomat Sjoerd Sjoerdsma, is the party’s prime anti-Israel spokesman. The next government will be made up of four or five parties. Fortunately, since D66 has only 19 seats, they will have less influence than the PvdA. However, if the government includes another anti-Israeli party, Groen Links (Green Left), the situation may change for the worse. This party was the main winner of the elections, increasing its number of seats from 4 to 14. In previous years, the Christian Democrats (CDA) which has now raised its representation from 13 to 19 seats, has always played the key role in the Dutch parliament’s position toward Israel. It has, with one exception, never supported anti-Israel measures proposed by the left-wing parties. The arrival of Donald Trump as President of the United States may strengthen this attitude, but if it doesn’t, this could swing the parliament against Israel. Israel has lost one of its greatest supporters, the small VNL Party. It split off during the previous parliamentary period from the Freedom Party and is not returning to parliament. Its two parliamentarians, Joram van Klaveren and Louis Bontes, were known to put forth questions to Dutch ministers relating to negative events for Jews or Israel. Another negative development is that the DENK party will be represented in the parliament with three representatives, two Dutch Turks and one Dutch Moroccan. In Rotterdam DENK received 8% of the votes. It will probably be the most anti-Israeli party in the parliament. Its leader Tunahan Kuzu was the focus of some international publicity when he refused to shake the hand of Israeli Prime Minister Binyamin Netanyahu during his 2016 visit to the Netherlands. The actions against the Turkish ministers led to riots in Rotterdam. Dutch Turks threw objects at a special unit of the Dutch police. Rioters shouted “Jews” and “cancer Jews.” It showed once again that for some Muslims in the Netherlands anti-Semitism is a core element of their identity. Some wonder whether this Dutch Turkish violence could recur against Jews when Israel has to invade Gaza again. After the Rotterdam riots Dutch Chief Rabbi Binyomin Jacobs, was asked this very question in view of the 2014 Muslim attacks on French synagogues. He answered: “I hope I am wrong, but I wouldn’t be surprised if this happens here also. Shortly before the elections the extreme left Socialist Party proposed a parliamentary motion that the EU should suspend its association agreement with Israel. This motion was defeated, but did receive the support of the Green Left, Labour and D66. Dr. Manfred Gerstenfeld is considered the world's foremost expert on anti-Semitism. 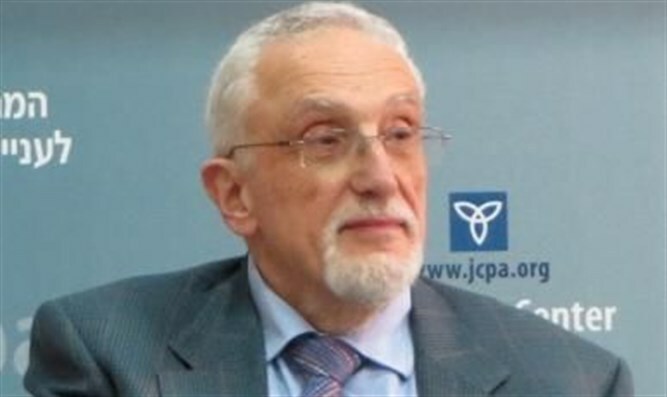 He is board member and former chairman of the Jerusalem Center for Public Affairs and recipient of the LIfetime Achievement Award (2012) of the Journal for the Study of Anti-Semitism.